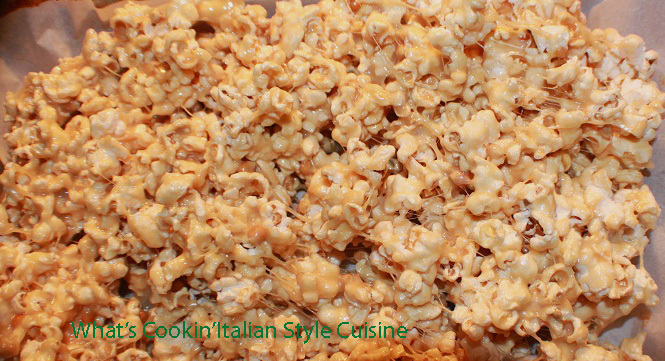 Reminds me of the famous Rice Krispie Treats except with popcorn and sweeter like kettle corn. It's a terrific quick snack! In a heavy duty 5 quart saucepan melted butter and sugar. Add marshmallows, vanilla and stir in popcorn. Spread on a buttered cookie sheet cool and break into pieces.